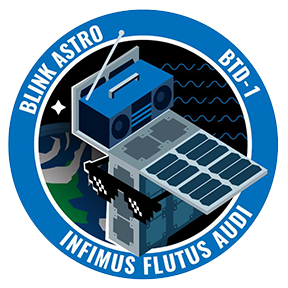 Blink Astro® (Blink®) has successfully launched their custom radio payload, hosted on the NanoAvionics' M6P 6U spacecraft using the Indian Space Research Organization's (ISRO) PSLV-C45launch vehicle. The launch occurred at 11:57pm EDT on March 31, 2019, from India's Satish Dhawan Space Centre. Preliminary communications have been established with the M6P host spacecraft. The primary objective of the mission will be to demonstrate the reliability and quality of Blink's end-to-end device connectivity solution. There will be satellite provisioning conducted by NanoAvionics for the first several weeks of this mission. Upon completion of this provisioning, Blink® will conduct ground to space testing which will last several months thereafter. Specific tests to be conducted during the technology demonstration mission will include reception and coverage of Blink's low cost IoT ground terminals, large point-to-point network architecture antenna performance, and overall signal quality. Dr. John R. Olds, CEO of Blink® and Blink's parent organization, SpaceWorks Enterprises, Inc., said that the company's technical teams at SpaceWorks Orbital and Blink Astro are looking forward to getting to work on testing the firm's proprietary receiver hardware. The company is bullish on the space-based IoT market and believe the low cost, highly efficient receiver technology and small spacecraft platforms will have a strong role to play in accelerating the growth of this global market.